This is perfect for your first home buyer, small family or retiree. This concrete block home has been recently updated and is easy to show. Home is conveniently located to schools, shopping and interstate. Home features 3 bedrooms, 1 bath, laundry room, oversized carport and detached shed. Seller to provide 1 year home warranty. Seller is extremely motivated!!! Home may also work for investor. Home is turn key and ready to rent. Rent would be approximately $850 to $875 per month. Great ROI!!! Edgewood Avenue to Cleveland Road to Trenton. 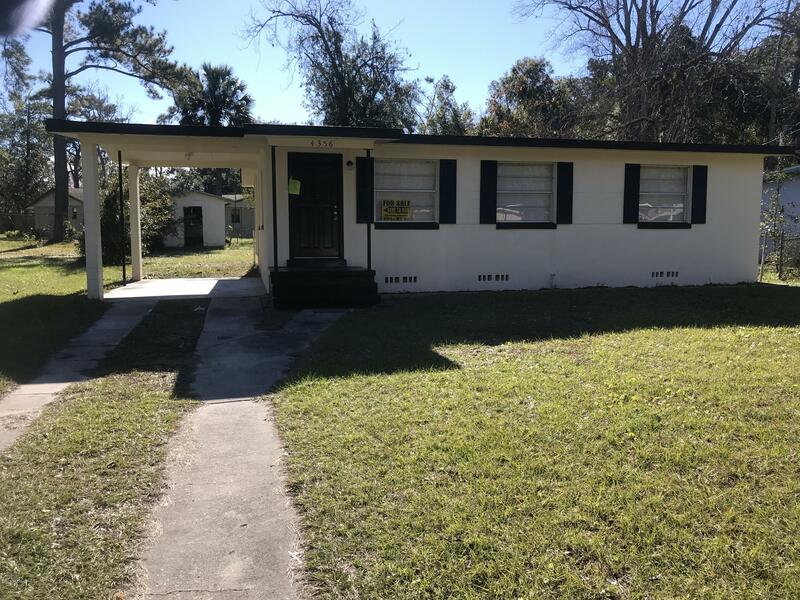 4356 Trenton Dr is a 851 (*estimated) square foot home with 3 bedrooms and 1 bathrooms located in Jacksonville FL, DUVAL County. This property is listed for sale at $89,900 and is currently active and accepting offers.